Wash and boil the toor dal with salt for 5-6 whistles or until the dal is soft. Let the pressure release by itself and then open the pressure cooker and mash the dal. Heat oil in a pan and add the onions and fry until they are transparent. 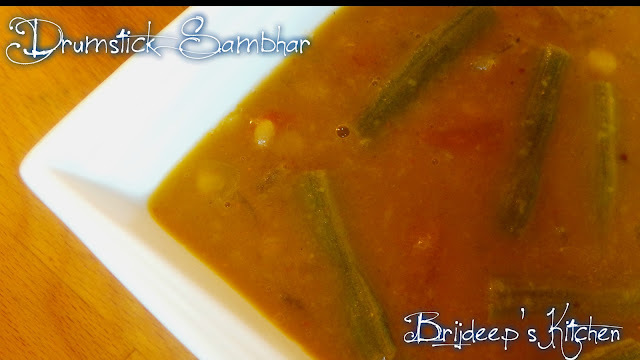 I learnt this recipe from a friend who told me no onions are added in this sambhar but I added it for flavor. So this step is optional. Add the tomatoes, green chilli and the chopped drumsticks. Add the salt and fry for few minutes until the tomatoes are soft and mushy. Add the red chilli powder, tamarind and sambhar powder and mix well. Let cook for another minute. The drumsticks will take more time to get tender so we will cook them more together with the dal. So add this mixture to the boiled and mashed dal and add a cup of water. 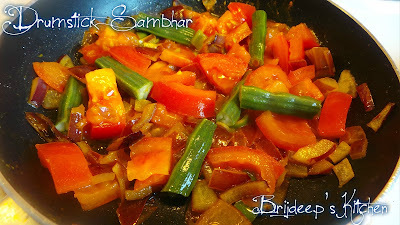 Let cook on medium flame for about 10-15 minutes so that the masala is incorporated and the drumsticks are also tender. Turn off the flame. Prepare the tempering: Heat a tsp. oil and crackle the mustard and fenugreek seeds. Add curry leaves and red chilli and mix and fry for a bit. 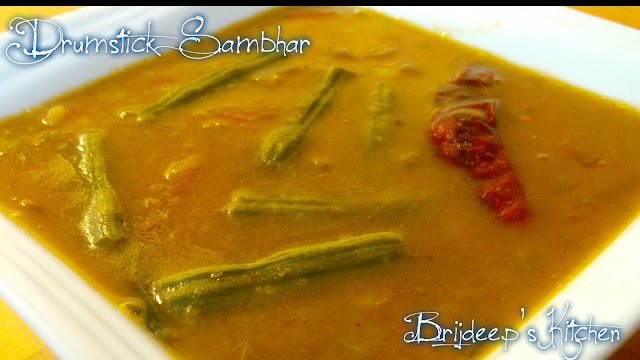 Turn off the flame and add this tempering to the sambhar. Cover for 10 minutes. 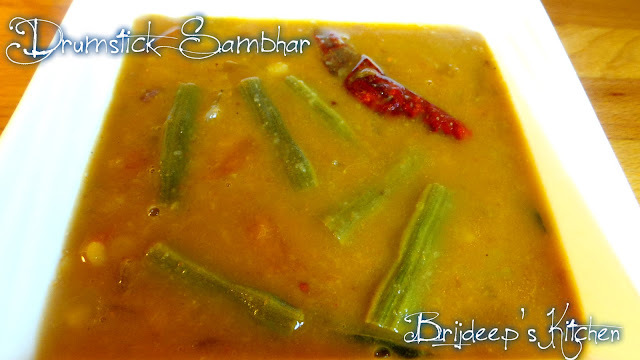 Open and stir well, serve piping hot with idlis, dosa etc. 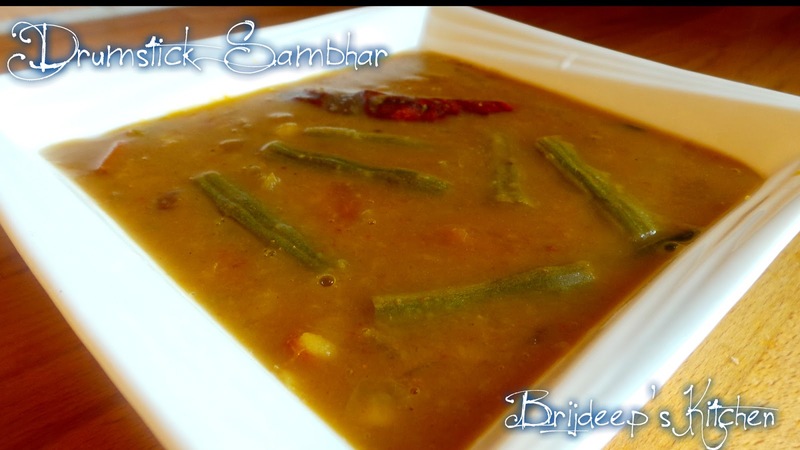 Looking for more sambhar recipes? If you love my recipes, don't forget to join me on my Facebook Page and Pinterest.